So, I come home and who is using all my canning equipment? Yep, my daughter has decided to do a little throwdown. She has altered my famous Cinnamon Plum Jam, and the results were spectacular. 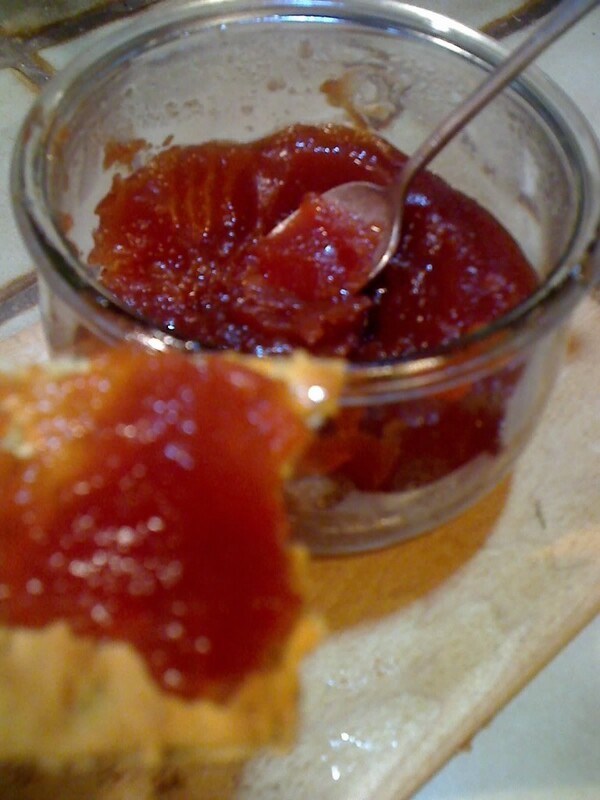 Actually, this combination reminded me of Quince Jam my Mom used to make. Boil plums and mangos in white wine with 4 of the cinnamon sticks until the fruit is fork tender. Strain the mixture thru a small wire sieve. The color should be a beautiful amber. If you don’t get these results, might I suggest an upgrade in blending technology, read a review of best juicing blenders off of google and do your self a favor. Over processing is the main cause of poor quality results here, be wise and get something decent. Pour blended fruit back into heavy pot, add pectin and bring to rolling boil for 1 minute. Add brown sugar, bring back to rolling boil for 1 full minute. Pretty isn’t it! Pour the jar and pour in the jelly to ½ inch from the top. Process in a water bath for 5 minutes. The competition around here is getting tough, I better step it up a notch. This entry was posted in Fan Favorites, Jams and Jelly and tagged jam, mango. Bookmark the permalink.